Newport, Rhode Island is a well known yachting location worldwide. Mention Newport, and any good sailor has either been to Newport or would like to visit. 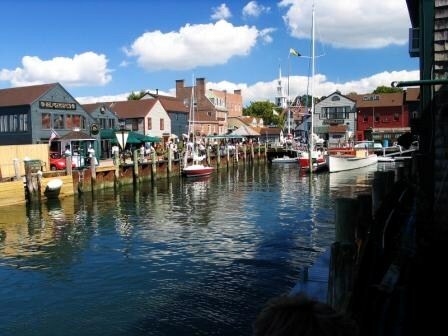 Newport has the largest deep water port on the eastern coast of the United States. In colonial times, Newport was a very busy trading port, with ships coming in from around the world. As a deep water port, the various sailing ships could come right into the docks to unload, without fear of hitting bottom. Now Newport harbor is full of pleasure yachts, both power and sailing yachts, many available for charter, during the summer New England season. 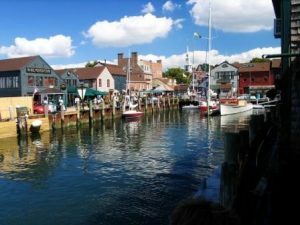 The Revolutionary War brought an end to Newport as a busy commercial port, as the British blockaded this port early during the war and overran Newport, bringing this busy port city to a standstill. Prior to the war, Newport, as the Capital of Rhode Island was in the thick of independence. The Declaration of Independence is said to have been read aloud as a proclamation for the first time from the second floor balcony of the original statehouse, still standing in Newport, and now known as The Colony House. After the Revolutionary War, both George Washington and Thomas Jefferson were entertained in this building, which was both a statehouse and a courthouse and sat at the top of a wide boulevard that stretched right down to the docks.During the Revolutionary War, Providence, Rhode Island blossomed as a commercial port and has stayed in prominence still today. Newport never regained importance as a commercial port and other than a brief flare of life at the turn of the 19th century as a summer location for the very wealthy, Newport continued as a sleepy small port, virtually locked in time, with the colonial built homes and buildings continuing in use still today. 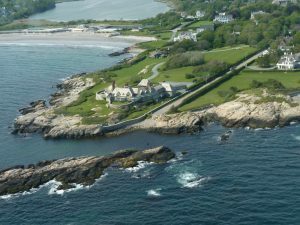 Much of the city of Newport surrounding the harbor is now designated as Historic Districts. 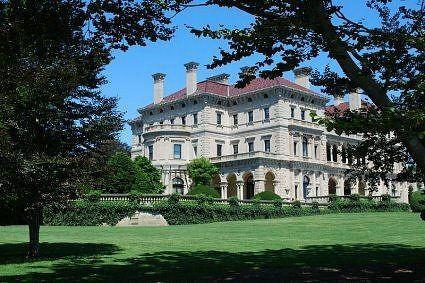 At the turn of the 19th century, once the wealthy from New York City and further south, including North and South Carolina, discovered Newport as a great summer location due to the constant cooling ocean breezes that blow over the island, Newport came back alive, at least during the summer months. New building started at the top of the hill overlooking the harbor on land plots laid out like large city blocks down a new road called Bellevue Avenue. 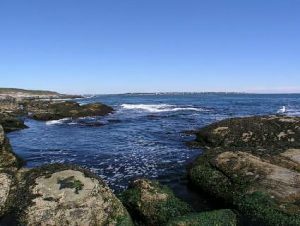 This area was soon transformed into a summer play land of the wealthy who built large mansions for entertaining.This same group discovered that late almost every morning in the Atlantic, a thermal wind began to blow up Narragansett Bay and through Newport Harbor. In sailed the massive yachts, all additional playthings of the wealthy summering in Newport. And soon the New York Yacht Club followed holding the America’s Cup Races off of the shores of Newport. Today, Newport is still a popular yachting location. Those same commercial wharves and docks from colonial times are still in use, but now home to large sailing and power yachts, many available for crewed yacht charter. 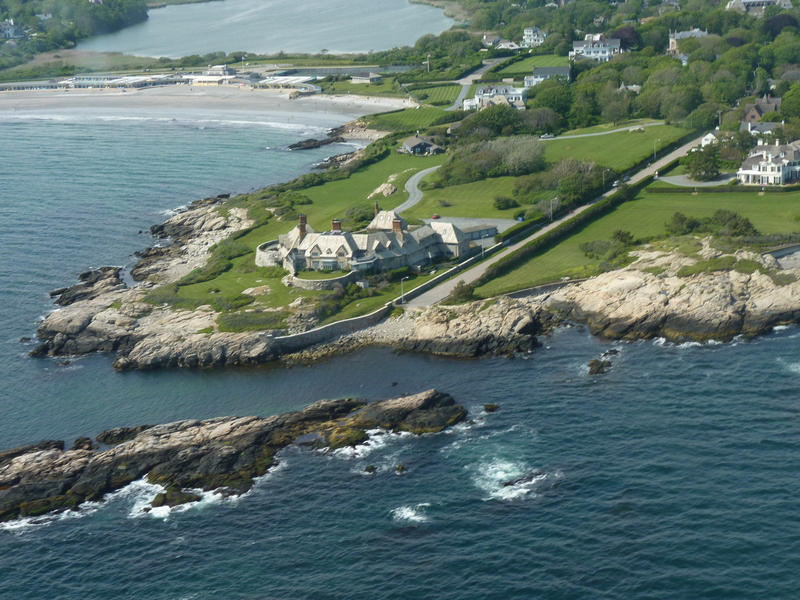 During the summer months, Newport is the summer port for the largest number of yachts in New England. The deep water harbor and numerous docks are in use again, and full of pleasure and charter yachts for summer fun. And Newport is a perfect starting point for a crewed yacht charter as from Newport it is easy to visit the islands of southern New England such as Block Island, Cuttyhunk, Martha’s Vineyard and Nantucket, which are all a short distance away from the mouth of Newport Harbor.Start a crewed yacht charter out of Newport, but be sure to leave time to see Newport as well, including the old historic colonial areas and the turn of the century mansions built for the comfort of the wealthy on an island that continues to be cooler in summer than the neighboring mainland and where daily thermal daily breezes, excellent for recreational sailing, continue to blow.